The Nat Reiss Carnival was among those aimed at a family friendly audience. One of the biggest reasons for this was that it set up its tents at the year round Natatorium Park in west Spokane. The Natatorium already served the community with fairground rides and the famous Looff carousel. The Southern Carnival Company, owned by Reiss, made an annual sweep through Spokane on route to Walla Walla and Seattle and featured such attractions as “Midgets and Mazes” and ‘Maximo the incredible diving dog.’ The carnival shows were especially welcomed by children. October 8th 1904 was a special night for the orphaned children of Spokane. 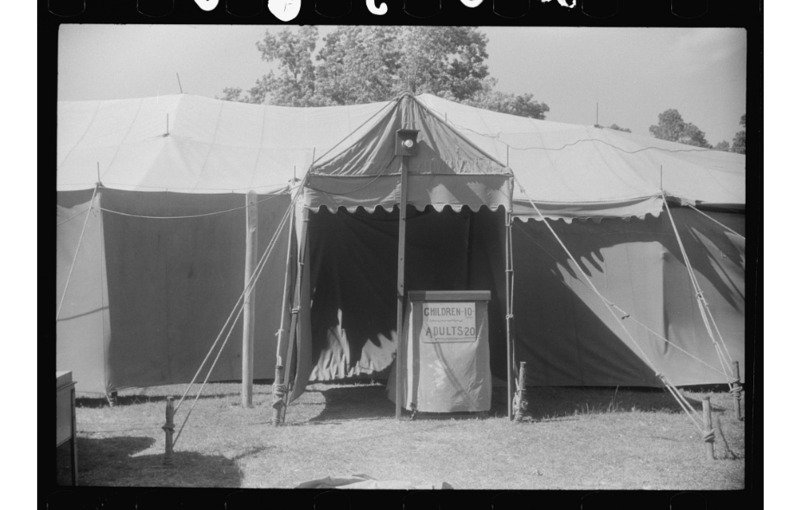 Residents of St. Joseph’s Orphanage were admitted free of charge to experience the wonders of the carnival grounds and the sideshows. Included in the show were ‘little people’ and their miniature horse and carriage, a mirror maze, fire-eaters and ‘Captain Sorcho’, a deep sea diver. This last exhibit was performed with a large fourteen foot tank viewable from every side. Other shows mentioned by local newspapers included a troop of Japanese performers, glass-blowers and ‘Alice the Wonder Freak’ a nod to the freak shows popular in smaller carnivals. From the line-up it is fairly clear Nat’s carnival wasn’t about to rival the Ringling Brothers but it was looked forward to each year and continued to visit Spokane throughout the early 1900s. Nat-Reiss Southern Carnival Co., Los Angeles. 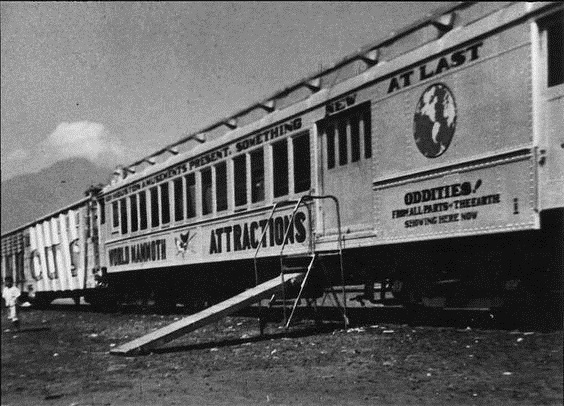 1904.: When not at its Spokane base, the Nat-Reiss carnival traveled across the western states. ~ Source: Courtesy the Huntington Digital Library. Joanne Percy, “Nat Reiss and the Spokane Carnival,” Spokane Historical, accessed April 20, 2019, https://spokanehistorical.org/items/show/596.